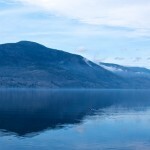 This is Part 2 of my trip report from Nelson to Kelowna and back. Part 1 can be found here. As noted in Part 1, my planning seemed to be right on par, but a thought had kept bugging me while I was eating breakfast. My spreadsheet takes into account elevation gains and losses, but it does not differentiate between whether the hills are near the beginning of a route, in the middle, or near the end. What occurred to me that morning is that this is a problem if you have significant elevation gains and then a drop in elevation that occurs near the end of a trip leg: the sheet only looks at total gained/loss, and if the predicted battery percent used is in the 90’s and the elevation lost at the end of the segment is quite high… it is possible that you wouldn’t have enough energy to get to the top of the last hill before you descend! 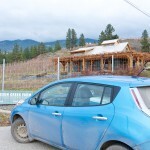 On my way down from Whitewater back to Nelson, I routinely regenerate 10% of my battery (~2 kWh)… well looking at my sheet from Part 1 shows that I expected to use 94% of my battery to drive from Grand Forks to Osoyoos, and anyone who has driven that route will know that you do an incredible descent of about 1,000 m within about 10 km of Osoyoos; that’s pretty similar to my drive home from Whitewater in terms of elevation drop and distance. Travel slower to use less energy. I already knew that travelling slower would actually be faster, but how much slower would I have to drive? 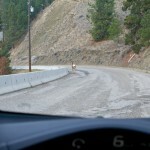 Turns out the answer was 20 km/h slower, or travelling at about 60 km/h! Eek, not my favourite thing to do on a 90 km/h highway. 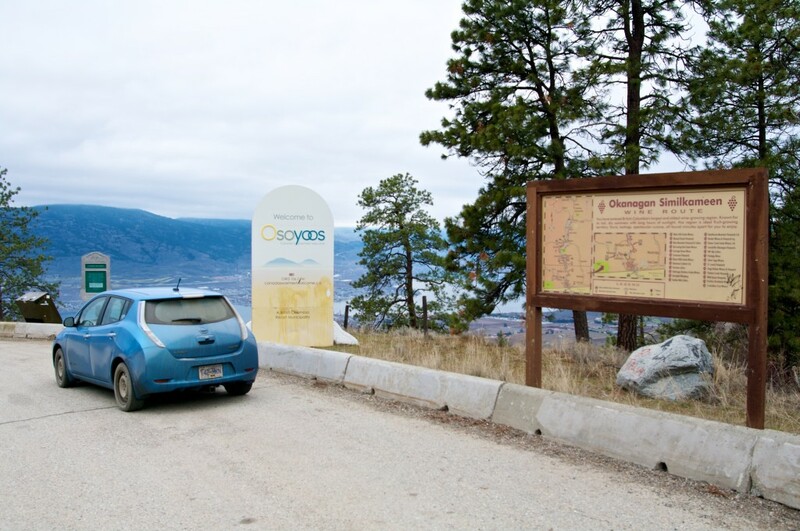 I was now estimating that it would take 91% of my battery to get to the top of “Big Hill”, and then I would regain 6% of my battery via regenerative braking on my way down to Osoyoos. 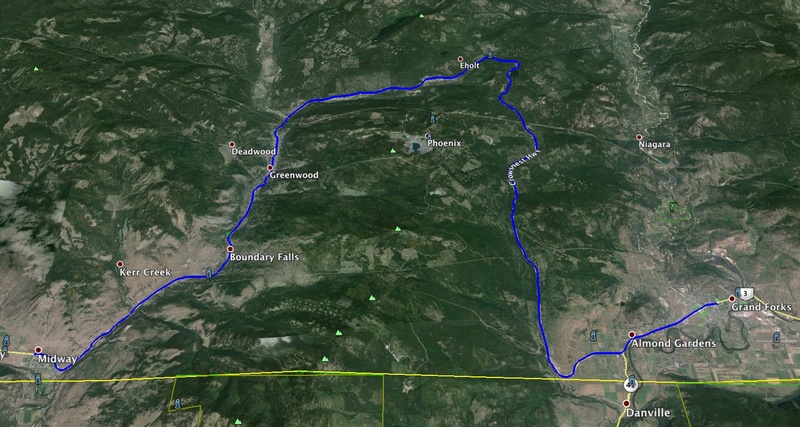 As an aside, I tally up the elevations between routes rather crudely, by traversing the route virtually in Google Earth and mentally “adding up” the major ups, and looking at the starting and ending elevation for that trip leg. I decided to track each segment of the trip as I went with a GPS program on my phone and will now have better data for going forward. I hit the road at 8:30 from Grand Forks and cruised up and around and back down to Midway with no problems and very light traffic. I arrived having attained an efficiency of 8.4 km/kWh and 68% battery remaining vs estimated efficiency of 7.25 km/kWh and 61% battery remaining. I was now feeling relatively comfortable that I would make it and continued onwards to Anarchist Summit (the “Big Hill”, as I am calling it, is actually 10 km further than the Summit), and then down to Osoyoos. The trip up went fine and I even had enough confidence to travel at 80 km/h between Midway and Rock Creek, then slowed down heading up the hill. I reached Anarchist Summit (el. 1,230 m) at about 40 km after leaving Midway with about 21% battery remaining; the road drops down a bunch, then back up, but I arrived at the edge of the “Big Hill” with 19%! I now have a confession to make: in an effort to pad my range a bit, I had turned the heat right off! I had been using the heated seat and steering wheel and draped my winter parka over my legs. Once I got to the edge of the hill I cranked the heat. You really don’t have to do this though, as slowing down by just 5 km/h makes more of a difference at highway speeds than using the heater or not. Ok so I was a bit conservative, but better safe than sorry! 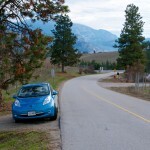 I arrived at 11:15 in Osoyoos with 24%, having regenerated 6% (about 1.2 kWh) of my battery, then used 1% to get across town to the charger. Efficiency was 7.7 km/kWh vs an estimated 7.8 km/kWh. 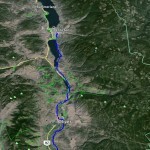 I arrived with 24% though, and my estimate was only 15%… the car computer does not seem to do a good job of estimating efficiency once you start including large drops of elevation and therefore regenerating significant amounts of energy. The computer seems to lowball the efficiency number (e.g. it claims I used more energy than I actually did). Oh well – these things are likely complicated to calculate in actuality, so I’ll give Nissan a pass! 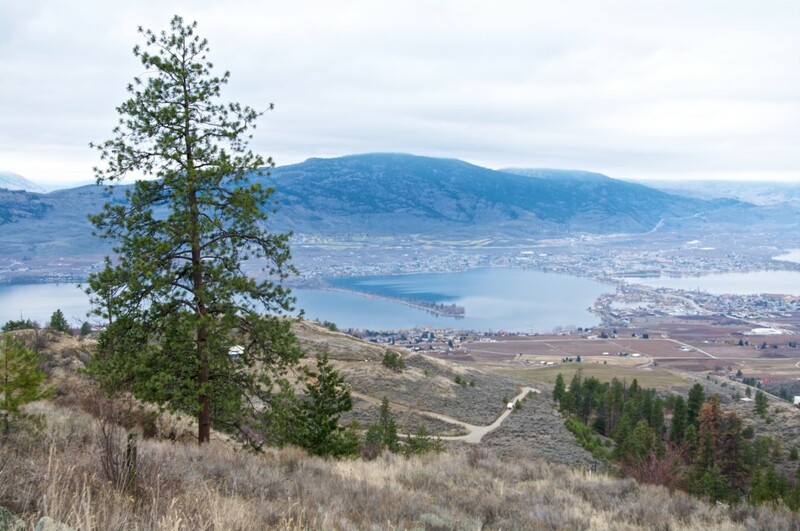 Midway to Osoyoos – you can see the Anarchist Summit just before 40km, then “Big Hill” at about 50km (where it changes from green to red). 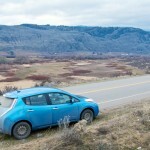 I was now across the charging infrastructure chasm and into the comparatively “dense” EV infrastructure of the Okanagan and could breathe a sigh of relief. While charging at Osoyoos, I had a nice picnic lunch at Gyro Park with the ducks. <<include picture>> I elected not to charge to 100% here, so left after 2 hours of charging and my battery at 81%. 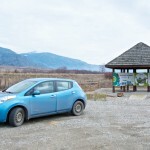 I was just heading out of Osoyoos for Penticton and spotted a sign for a wetland park; while parked at the wetland and looking at the interpretive signs, I decided I should sight-see and take the side-roads to Penticton. 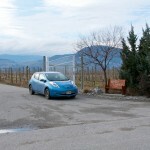 Having a look at the map on the car, I saw there was a nice parallel route through the low hills on the side of the valley, twisting around orchards and vineyards. 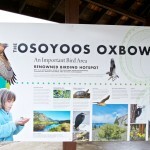 I’m glad I went this way, as the scenery was fantastic! 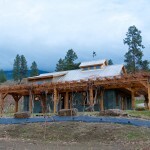 I found the Blasted Church winery, they make some tasty mixes! I was stoked to find them randomly. 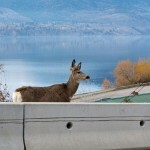 Can I sneak up on this dear to get a better photo? 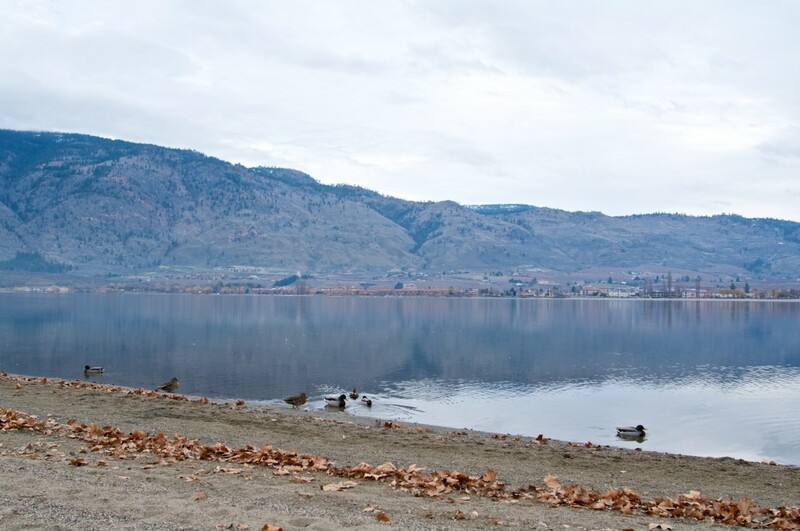 I toodled around in Penticton for an hour to top up, then continued on to Kelowna. I travelled at the speed limit on this stretch of the trip as I would have been a serious road hazard to continue at 60 km/h. 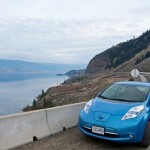 I arrived in Kelowna having attained an efficiency of 8.05 km/kWh and arriving on 13% battery, about right on target with what I had estimated. 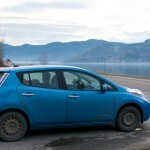 I spent the next few days in and around Kelowna, and in urban/suburban driving, I averaged about 8 km/kWh – Nelson does not really have any driving like this, so it was interesting to see how it did in a situation similar to that of someone living in a suburb of Vancouver and commuting by EV. I found it generally calming to be in the quietness of my EV when stuck in traffic, and nice to have the jam of instant-torque from the electric motor when I wanted to turn at a light or get ahead of someone to make a lane change. 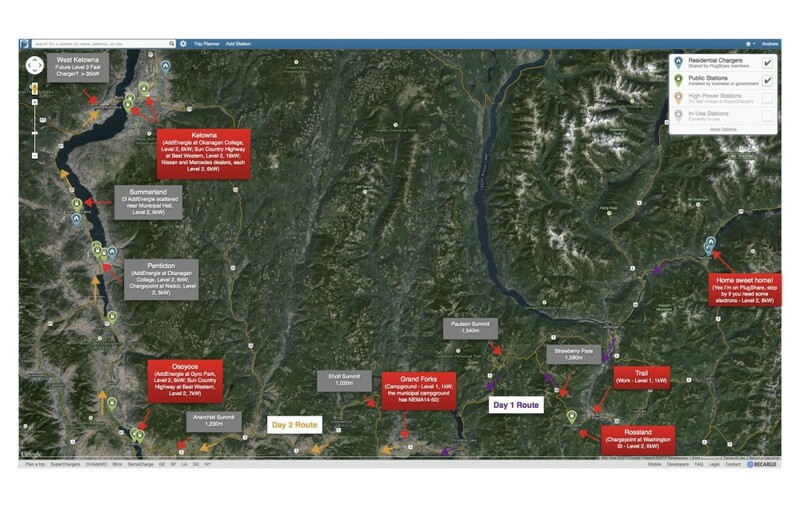 Planned charging locations in red, back-up locations in grey. 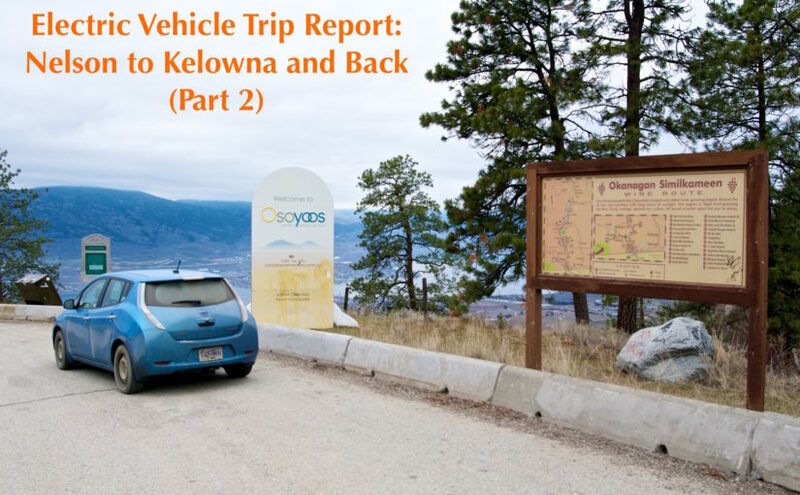 Overall, the trip from Trail to Kelowna took me 25 hours, largely because of the gap in infrastructure (see above) forcing me to use the glacially slow Level 1 charging (of course for regular daily driving, Level 1 gets you about 50 – 70 km of range overnight, more than sufficient for most people!) In the future, when there is Level 2 charging available all along the way, this same trip will likely be cut down to about 12 hours. With the next generation of EV’s in 2017, slated to have about double the range of my EV, you would be able to skip one charging stop, saving a further 3 hours. When the route has Level 3 chargers, the trip can probably be done in about 6 hours. It takes me about 5 hours to drive that same route today in a gasoline car (see this post for a comparison table). I’d be plenty happy to take 6 hours instead of 5 hours, knowing that my trip was done without a drop of gasoline! Thanks for taking us along on this trip, interesting and entertaining.